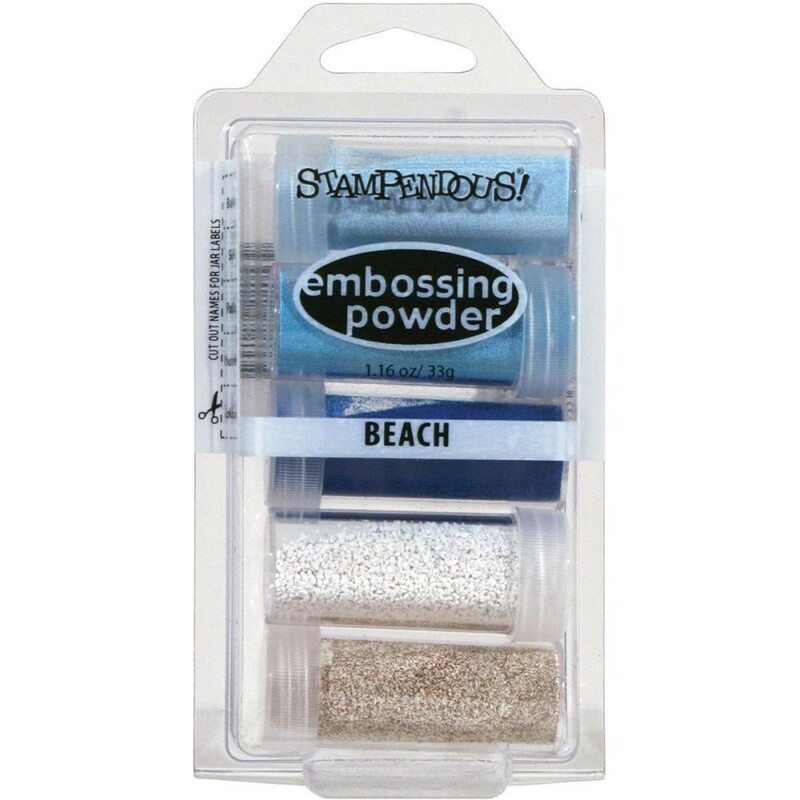 Stampendous-Embossing Powder: Beach. Premium powders and enamels with just the right amount of glitter to add high volume bling to projects! This package contains 0.86oz total of embossing powder in five colors. Acid free.